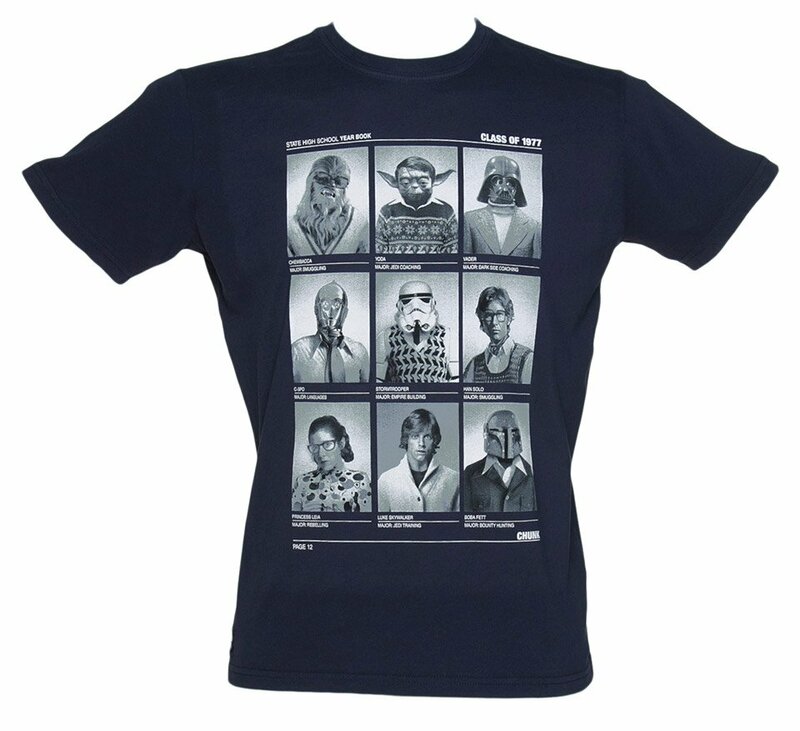 This awesome t-shirt shows the graduating class from Star Wars 1977. Remember when Yoda had hair and loved to wear that Christmas sweater to school? And Han Solo was a nerd with those big glasses and sweater vests? Good times. Of course, Luke was always a hunk, even in high school. You can also get this design on a sweatshirt or other t-shirt on TruffleShuffle. Thanks to Redditor phattykins for sharing this.